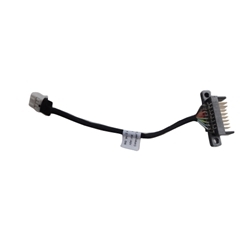 Description: New Acer laptop battery connector cable. Acer Aspire V5-431, V5-431G, V5-431P, V5-431PG, V5-471, V5-471G, V5-471P, V5-471PG, V5-531*, V5-531G*, V5-531P*, V5-531PG*, V5-571*, V5-571G*, V5-571P*, V5-571PG*. *These models have more than one cable. This cables is about 4 inches in length and is the UMA version. Please make sure that you are ordering the correct one.